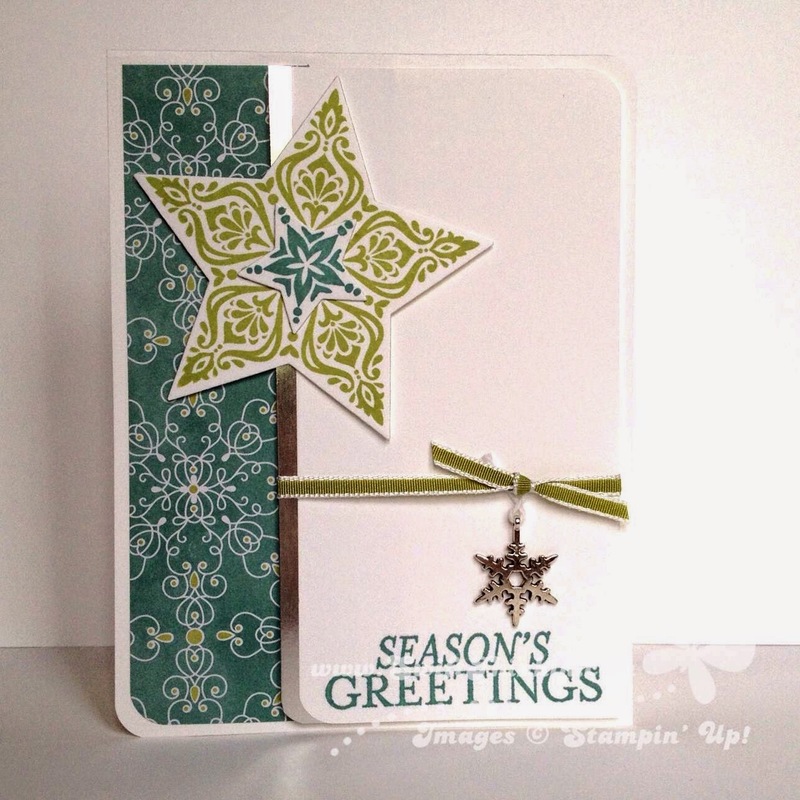 It uses the Bright and Beautiful stamp set from the Holiday mini catalog. 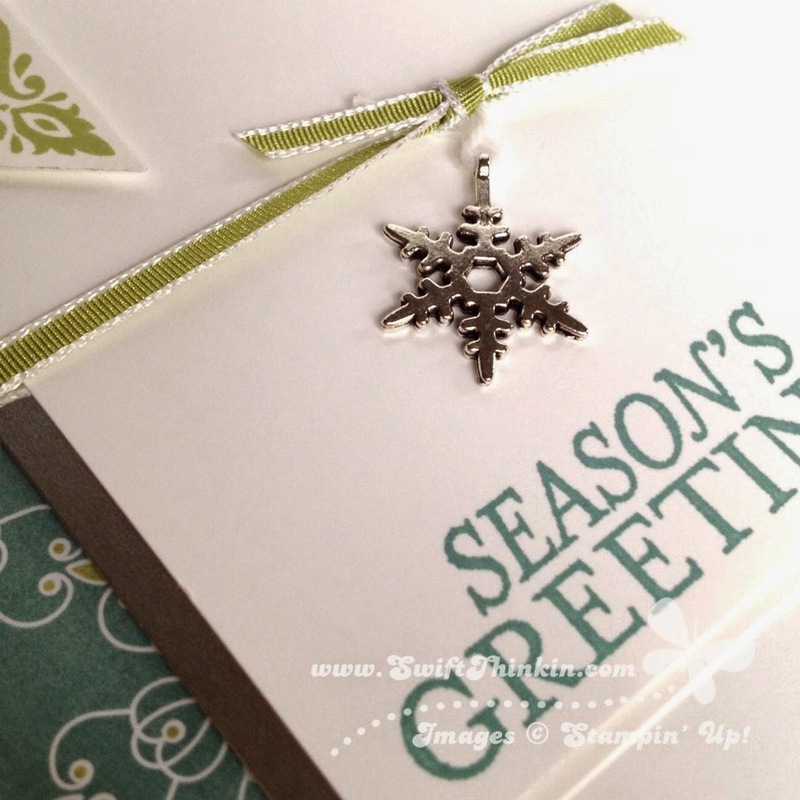 What makes this one my favorite is the layout- the rounded corners just make this card elegant. And yet it is simple enough that you could mass produce it for Christmas greetings. What a combination :) And did you see the adorable little charm hanging on it. Isn't it sweet! I've got plenty more swaps to share with you, so make sure you flutterby again soon!